Himsa Jun 03 2018 12:25 pm voice..
Guglis Feb 06 2018 7:16 am @SM im really agree with your statement below which why girls dn't look at him while he is so good looking and even me can fall for him at the first sight..
Nick Jan 25 2018 5:36 pm One of my favourite actor. Rooting for u oppa! Fighting! SM Jun 12 2017 5:37 pm I really don't understand why you always take roles in which girls do not fall for you despite your good looks, charm & height. If I were them I'd certainly fall for you ? sugarpie2u Jun 07 2017 12:28 am He is one of my favourite actors! Fighting oppa! Both him and Eun Tak in Love is Drop by Drop is excellent! Tp Apr 13 2017 2:45 pm The more I watch, the more I fall in love with you. Why you are so very cute in ep. 93 in LIDBD? You always look very attractive in light color coats which I also saw you in Apgujeong Midnight Sun wearing that light coat that you looked very dashing and captivating. Love ya! Prejudice Feb 14 2017 9:01 pm Can't wait to see you in "romance full of life" in two more days. Bravo! Daring-truth Feb 05 2017 10:51 am Hi Min-Soo, I'm your number 1 fan after watching Apgujeong Midnight Sun & Love is Drop by Drop. Which whence I've wanted to know more about you. Surely you are a potential actor, no doubt about that since you've got the look and the talents. Plz be sure to try your utmost effort in becoming more successful in the Korean dramas industry. We , your fans, are always rooting for you. Aja aja hwaiting! Lavieenrose Feb 03 2017 4:49 pm I fell in love with you in Apgujeong Midnight Sun. I wished you were the main lead. I found the chemistry between you & Park Hana was more genuine than hers & Eun-Tak. X2 Feb 01 2017 8:46 pm Wish to see you as a protagonist in the next coming dramas. 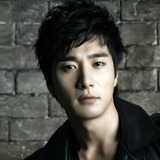 You're def a very handsome looking Korean actor. Tp Jan 28 2017 7:27 pm You're so handsome. Wish to see you as the main lead in the next coming dramas. Fighting! Rose Jun 29 2015 6:30 pm I liked his roles in Angel's Revenge and Apgujeong Midnight Sun. In fact, with his role in Apgujeong, I didn't know it was him. When I looked up his history, that is how I found out who he was. These actors somehow seem to look different in different dramas. I know some of the celebrities as I have seen them quite a bit in other shows, but I don't know all the celebrities in these dramas.